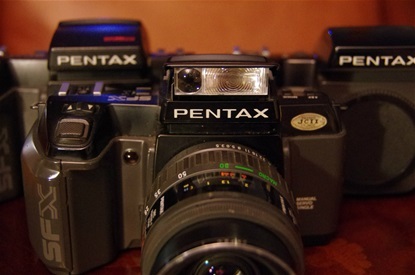 Pentax' second AF PP SLR, and the first commercially successful. 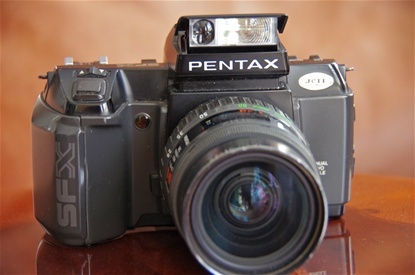 And Worlds First PP SLR with integrated pop up flash, called RTF, Retractable TTL Flash. Size: 157x99x63,5. Weight: 685 g. S/n: 3852963. 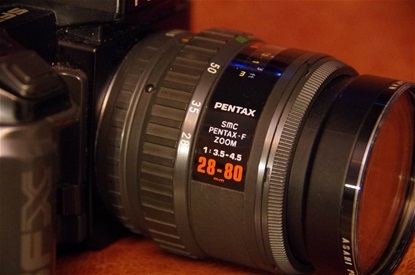 The SMC Pentax F 28-80 3,5-4,5 kit lens. At the time these push knobs and buttons seemed to be progress. They were not, and disappeared over the years. But the LCD display was there to stay. 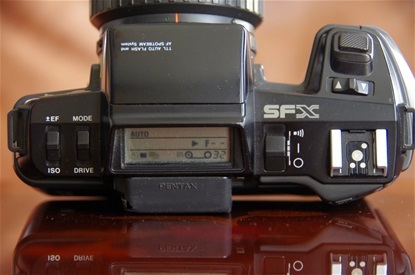 The SF7 came one year after SFX, and was less expensive. No manual ISO setting, no exposure compensation, less EV meter range. RTF. Size: 157x99x63,5. Weight: 630 g. S/n: 5131928. A smart display showing some vital information. 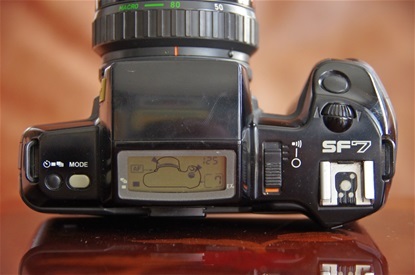 Also note that the push button for choosing mode and speed is replaced by a kind of dial. 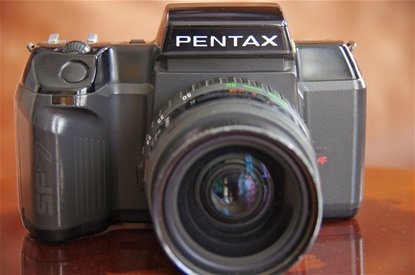 The last version of the first real AF camera. 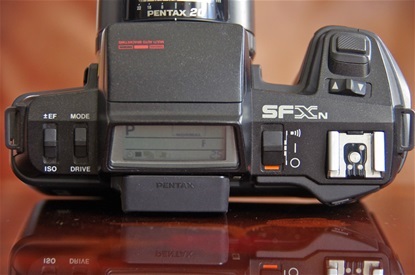 the SFXn from '89. 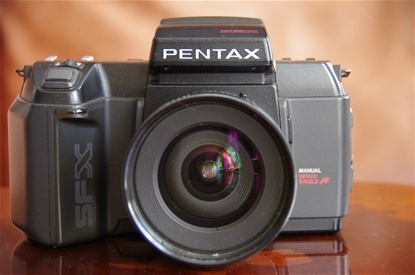 Upgrades from the SFX was a faster winder (2,2 exp/sec vs. 1,8), auto bracketting, backlit top display and faster shutter speed: 1/4000. Size: 154,5x99x63,5 mm. 665 g. Sn: 5057795.